Kitsap’s rental market remains tight, but rents and vacancy rates seem to be steadying. Average rent at large apartment complexes was $1,077 a month in the first quarter of 2016, a $6 increase from the fourth quarter of 2015. Rent was up about $116 from a year ago, a 12 percent change, according to numbers provided by Tom Cain of Apartment Insights Washington. Vacancy rates ticked up for the third straight quarter, reaching 4.22 percent. 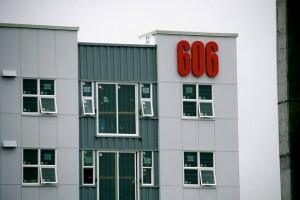 The opening of the 71-unit 606 apartments in downtown Bremerton likely played a role in increasing vacancies. Bremerton’s vacancy rate jumped from 2.64 percent in the fourth quarter of 2015 to 4.53 percent in first quarter of 2016. Poulsbo/Bainbridge Island remained the tightest submarket, with a 2.91 percent vacancy rate. In his quarterly report, Cain noted the shortage of homes for sale in the region has been a boon for rental owners.